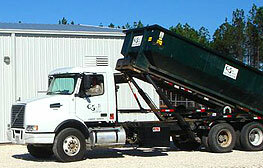 We provide garbage collection & recycling services throughout the southeast. Call us if your area isn’t listed. 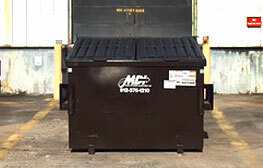 Our expertise allows us to establish advanced, unique and standardized Solid Waste Collection procedures that enable us to continually maintain or lower our costs yet still provide exceptional service. We offer professional, temporary roll-off, permanent roll-off and front load services – combined with highly experienced service managers and dedicated waste handling/hauling experts. We also offer Commercial & Residential Land Clearing, including Mulching, Grass Mowing & Grounds Maintenance and Heavy Duty Bush Hogging as well as Commercial Demolition Services. 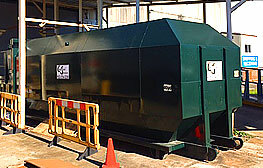 Cumberland Services is a small business that currently provides garbage collection and disposal services to more than 150 customers through commercial contracts throughout southeast Georgia and northeast Florida. Our core competencies are focused on Integrated Solid Waste Management, Waste Collection, Garbage Collection and Removal, Trash Hauling, Recycling, and Waste Diversion. Since 2004 Cumberland Services has built a small but strong group of key personnel dedicated to the common goal of being a proven leader in the refuse and recycling business. 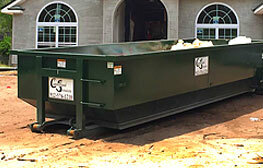 Our expertise includes other areas such as Land Clearing and Demolition Services. We are dedicated to providing you with safe, efficient and professional rental service regardless of the size of your project, or type of business – from new construction or demolition, to waste/recyling streams for retail stores or office buildings.